When you plan on taking legal action against someone for whatever reason, before the court proceedings can begin, you are required to have a notification delivered to that intended party. The notification contains documents that show what legal action has been taken against them. The person who initiated the legal action, called the plaintiff, cannot deliver the document himself. He has to have an uninvolved party deliver it to the other person. A Proof of Service is a legal document that serves as proof that the notification document or service was delivered to the intended party. 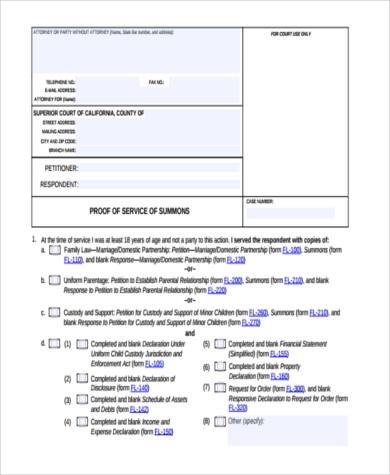 There are various types of Proof of Service Forms with different uses. You may see our samples below for more information. 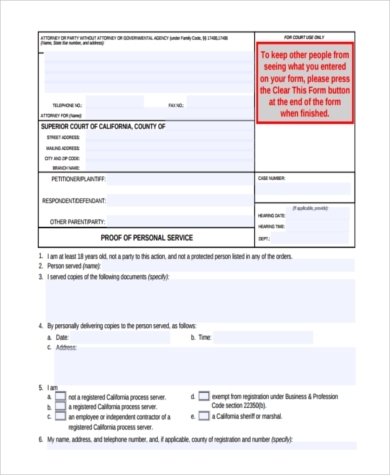 Proof of Personal Service Form: When somebody decides to take legal action against someone, he is required by law to notify the other person of the action taken. The plaintiff is then required to present proof that the other person, called the defendant, has been served the necessary legal documents. 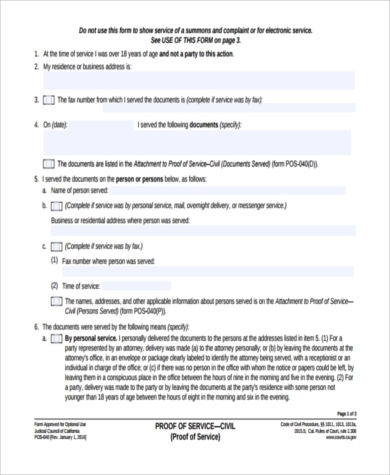 This proof is called the Proof of Personal Service Form, which proves that the legal documents have been personally delivered to the defendant by an uninvolved third party. 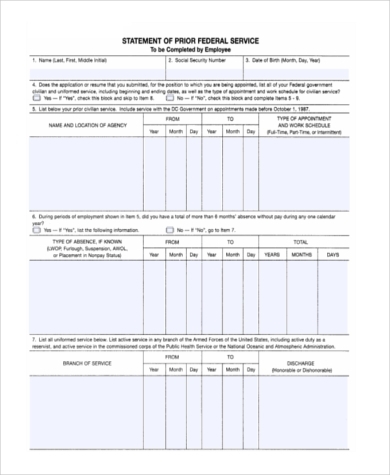 You may also use Certificate of Service Forms as proof for this. 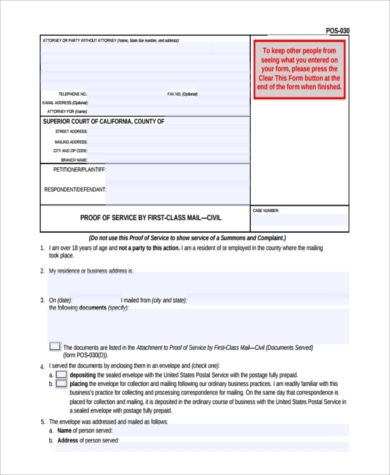 Proof of Service by Mail Form: This is the same as a Proof of Personal Service Form, but instead of the legal documents being personally delivered, they are mailed to the defendant instead. 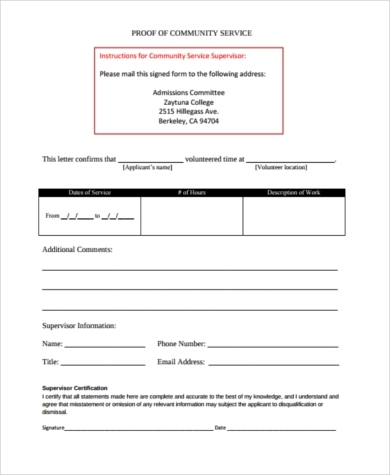 Proof of Community Service Forms: This serves as proof that a person has completed or participated in community service. This could be court-appointed or done by students as a pre-requisite for graduation. 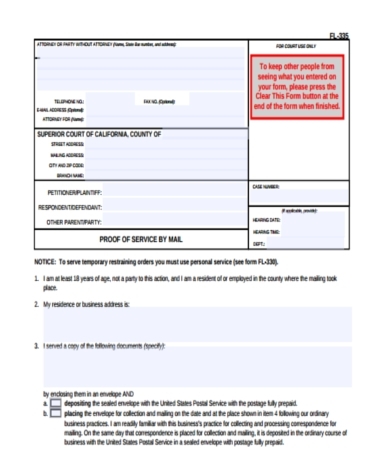 Federal Proof of Service Form: This serves as proof that a person has prior federal service. This is used to credit a person’s prior federal service for benefits. 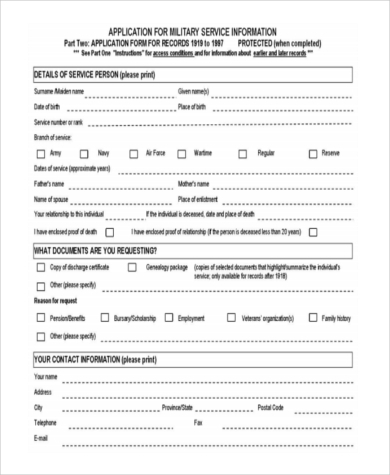 Information in this form may also be disclosed to other federal agencies for verification or in connection with an application for a job, a grant or other benefits. 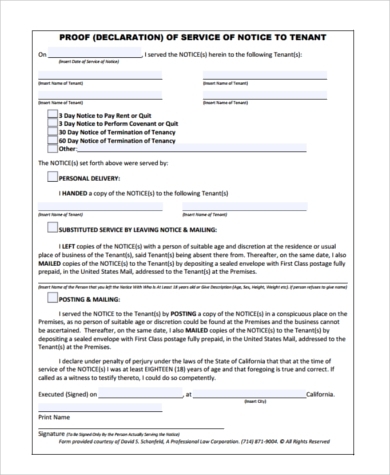 Tenant Proof of Service Form: This is used when a landlord wishes to notify his tenant that he will be ending the tenancy due to unpaid rent and / or utilities, or if the tenant is in constant violation of the conditions stipulated in the lease agreement. The landlord himself cannot serve the legal documents. It has to be an uninvolved third party. Who Are Considered Uninvolved Third Parties? Notifying the defendant is done and is lawfully required so that the legal proceedings can be done fairly. This will also allow the defendant and the plaintiff to prepare their arguments for the case. 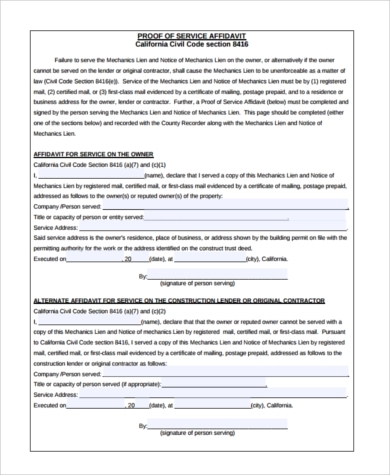 You may also need Affidavit of Service Forms. Click on the link to check out samples.